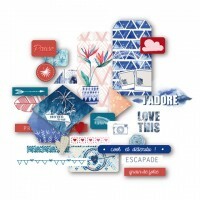 All 6 double-sided sheets of heavy-weight paper from the collection "Blue Batik" plus a sheet of printed vellum. 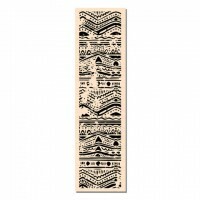 4 x 15 cm Wood mounted stamp from the collection Blue Batik From French make: 'Ateliers de Karine..
10 x 13 cm wood mounted stamp from the collection Blue Batik From French make: 'Ateliers de Karin..
Sheet measuring 15 x 30 cm of stickers matching the collection "Blue Batik". 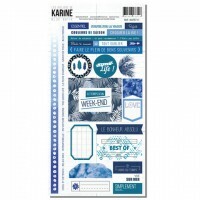 From French make: 'A..
Sheet measuring 10 x 20 cm of stickers matching the collection "Blue Batik". 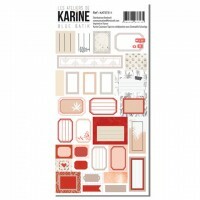 From French make: 'A..
Photo booth die - From French make Les Ateliers de Karine Size: 15,5 x 5,5 cm Fine metal dies .. 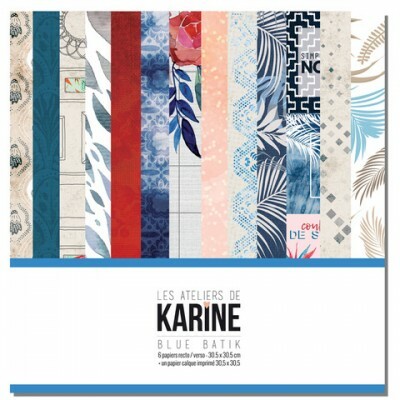 Dies cuts matching the collection Blue Batik by Karine Cazenave-Tapie. Packet size: 10 ..
Water-reactive & pigment ink fusion that creates an oxidized effect when sprayed with water. Use.. 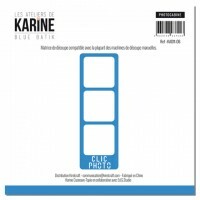 Dies cut matching the collection Blue Batik by Karine Cazenave-Tapie. 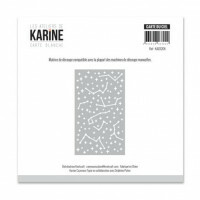 Size 15.5 c..
Set of 2 dies - From French make Les Ateliers de Karine Diameters: 6,5cm; 9 cm. 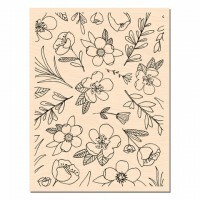 Fine..
One die 7 x 12.5 cm, from French make Les Ateliers de Karine. Fine metal dies compatable with the..